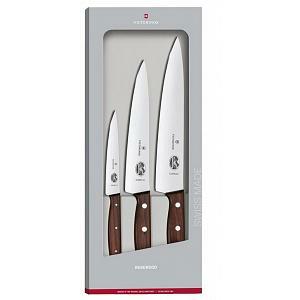 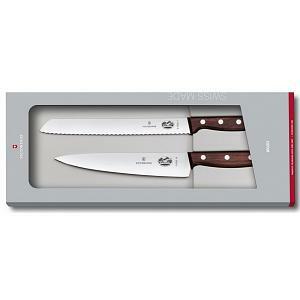 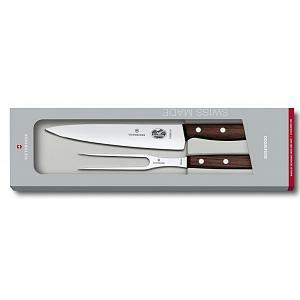 This Victorinox carving set includes a 8.5" carving knife and a 6" chef's knife with beautiful rosewood handles. 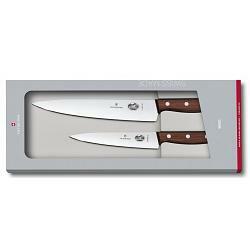 The knife set comes in a nice gift box. 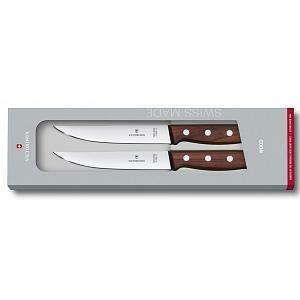 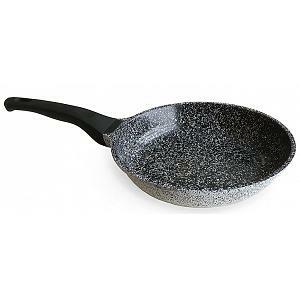 These high quality carving and chef's knives are made in Switzerland and have a lifetime warranty.